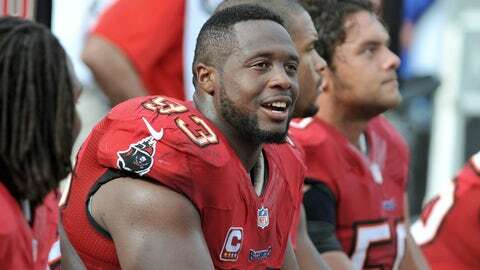 Gerald McCoy and the Buccaneers will get the Packers and Vikings at home as part of their 2014 schedule. The Tampa Bay Buccaneers’ 2014 opponents are set. The Bucs finished 4-12, with a 42-17 loss to the New Orleans Saints on Sunday at the Mercedes-Benz Superdome. Though they closed with the same record as the Atlanta Falcons, they take fourth place in the NFC South due to tiebreakers. At home, the Bucs will face the Green Bay Packers, Minnesota Vikings, Baltimore Ravens, Cincinnati Bengals, Atlanta Falcons, Carolina Panthers, New Orleans Saints and St. Louis Rams. On the road, the Bucs will face the Chicago Bears, Detroit Lions, Cleveland Browns, Pittsburgh Steelers, Falcons, Panthers, Saints and Washington Redskins.